Commercial electrical work usually requires much greater power loads than the average household – and when things go wrong, the costs can be significantly higher. The loss of power – even for just a few moments – can have devastating effects on a business. Say you’ve got a cool room filled with frozen produce. If the power cuts out, your melting produce means you could lose both inventory and customers. Or, if you’re an office that loses power, you could risk your reputation for reliability and your employee’s productivity. Even small things like blown fuses, costly heating solutions or ineffective lighting systems can pose threats to businesses, so it’s important to look for the right credentials when looking for a commercial electrician. Perth businesses and worksites have come to rely on A.S.H Electrical’s affordable and thorough consultations and services that maintain electrical needs and maximize business productivity. We work in places like cafes and restaurants, real estate property managers, shopping centres, shops and offices, and even warehouses and workshops – essentially any commercial enterprise that requires master power, light and heat solutions from a trusted commercial electrician. We can even provide help with insurance because, when something harms your business, like a flood or fire, the last thing on your mind is paperwork. Our maintenance contracts also give peace of mind when hiring an A.S.H Electrical commercial electrician. Perth businesses can be certain their commercial spaces will be upgraded, updated and checked on in a timely, professional way. As with all of our services, customer service is at the forefront of what we do. It’s what has kept us in business for nineteen years, and how we continue to grow. 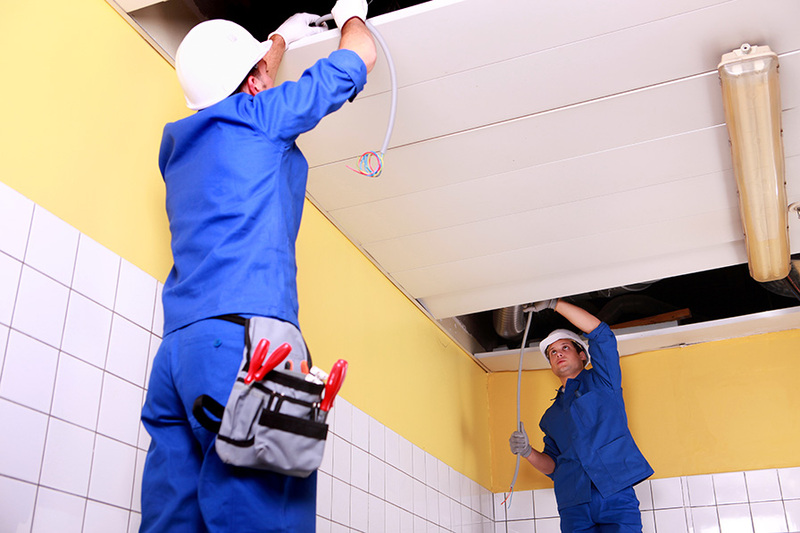 For professionalism, efficiency and precision – gleaned from almost two decades of experience – A.S.H Electrical is the source for commercial electricians Perth businesses know and trust.